SRINAGAR: A book The Night of Broken Glass, written by a Kashmiri writer Feroz, Rather, a doctoral student of creative writing at Florida State University, has been published by HarperCollins Publishers, one of the world’s largest publishing companies on. It marks the emergence of a new story teller from Kashmir, a young man who has lived the crisis and survived it. The Night of Broken Glass is the third major fiction books on Kashmir dealing with insurgency. Earlier Waheed Mirza’s The Collaborator and Siddhart Gigoo’s The Garden of Solitude. These are in addition to various others including the Half Mother by Shahnaz Bashir and a few self-published works. Rather, a resident of Mir Bazaar near Qazigund, has witnessed the worst of the militancy when he was in school. It was gradually that he adjusted himself to the new regime and routine and studied to tell the stories later. He is a poet as well and his poetry was published in various respected publications. This is also the first book of Feroz Rather, currently a doctoral student of Creative Writing at Florida State University. His work has appeared in The Millions, The Rumpus, The Southeast Review, Caravan, Warscapes, Berfrois, and Himal. His most recent essay, Poet in Srinagar, appeared in the anthology Mad Heart, Be Brave: On the Poetry of Agha Shahid Ali. HarperCollins India said the book provides the readers a glimpse of the “courage and daily life of its people as it is a dirge to a paradise lost, a paean to the beauty of Kashmir’. “It is one of the first fiction books on Kashmir dealing with insurgency. A novel in short stories, with each of the stories interconnected, the book is one of our lead literary fiction debuts for the year. This fascinating collection of writings on Kashmir promises to be a thrilling and compelling read,” the publisher said. “Through a series of interconnected stories, within which the same characters move in and out, the author weaves a tapestry of the horror Kashmir has come to represent. His visceral imagery explores the psychological impact of the turmoil on its natives — Showkat, who is made to wipe off a graffiti on the wall of his shop with his tongue; Rosy, a progressive, jeans-wearing upper-caste girl who is in love with lower-caste Jamshid; Jamshid’s father Gulam, a cobbler who never finds his son’s bullet-riddled body; and even the barbaric and tyrannical Major S, who has to contend with his own nightmares,” it adds. 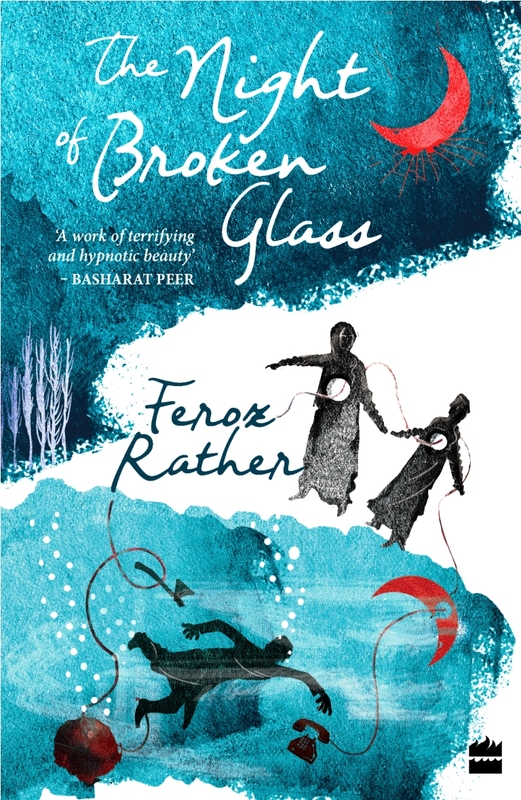 It further added: “Grappling with a society brutalized by the “oppression” of the state and fissured by the tensions of caste and gender, Feroz Rather’s remarkable debut is as much a paean to the beauty of Kashmir and the courage of its people as it is a dirge to a paradise lost. Rather’s work has been praised by the well known worldwide authors including, Basharat Peer, Mirza Waheed, Sidhartha Deb. “An extraordinary, haunting debut. The dazzling characters that inhabit The Night of Broken Glass will stay with you for years after you’ve finished reading this stunning collection. Bravo!” the well-known novelist and journalist based in London, Mirza Waheed wrote. Mirza’s debut novel The Collaborator was one of the major works on Kashmir crisis and was hugely reviewed and appreciated within and outside Kashmir.